Over the 12 years of Research Information’s existence we have been privileged to witness an industry facing tremendous technological change. The digital revolution started in the scientific and academic publishing sector and the mass market is only now catching up. The shift to making scientific and scholarly information available online has meant upheaval and the disappearance of some long-established names. While preparing this talk I had a look at the shelf of textbooks that I have retained since my PhD studies; very few remain in existence. But the scholarly publishing industry has survived – so far at least – and appears to have adapted to the new world better than the music industry. A couple of years back, I gave a similar talk at the Frankfurt Book Fair where I dealt with technology trends – formats, standards and the like. For this event, my focus is different and I will deal with trends in research behaviour and policy. This presentation provides an update on the themes that my colleague, Research Information’s editor Siân Harris, outlined in her talk at Frankfurt Book Fair last October. Understandably, the focus of many of the talks in The Faculty @ LBF this week is on commercial priorities and on what the scholarly publishing industry needs to do if it is to survive. But I thought it worth taking a step back – a long step back – in order to put things into perspective. What is the characteristic of modern science and scholarly inquiry that distinguishes them from such things as alchemy, mysticism, the occult and magic? It is the commitment to the open publication of the results of that research and inquiry, for discussion, replication, and eventually refutation. It is the declaration that scholarly knowledge should be public knowledge, and neither some sort of personal irreproducible experience (mysticism) nor an esoteric mystery available only to the initiate (as in magic or alchemy, for example). The Royal Society, the oldest learned society still in existence, was officially founded on 28 November 1660. The first book was presented to its library in 1661, and the Society itself published its first two books in 1662. In 1665, the Society's Secretary published the first issue of Philosophical Transactions, which is now the world’s oldest scientific journal in continuous publication. It will celebrate 350 years of publication next year. The point I want to make here is that publishing, in some form or other, is an intrinsic part of the scientific method and has been since science in its recognisably modern form emerged. So for those who are worried about short-term commercial survival my message has to be: Take heart. Scholarly communication, in some form or other, has a future as long as scholarship and science continue. Once invented, print journals were essentially static for decades, if not centuries. Change was sociological – the introduction of peer review, and the professionalisation of science and scholarship away from the gentleman amateur. In the early 19th century, for example, the Royal Society's membership became almost entirely scientific, with few political Fellows or patrons – although Fellows were exempt from peer review for a very long time thereafter. Although I said I was not going to talk about technology, it is worth going at least part of the way with Marshall McLuhan to say that the medium can affect the message. In our own case, the nature of scholarly content has changed with the availability of digital technology. In the early days of electronic journals the content was very static, reflecting their print ancestry. But journals are now moving to more dynamic content, and different ways to define content and what people want. There has been an increase in things such video and graphical abstracts and new ways to organise and interact with content depending how you want to use it. Last October, the publisher PeerJ made an interesting announcement about PeerJ Questions. This feature allows people to carry on interacting with, and building on, research after it has been published. People ask questions about the research and then both the questions and any answers are published at the relevant point in the paper and eventually given their own DOIs. There are two trends here therefore. One is that the concept of a journal that I grew up with is no longer valid. It is no longer a collection of papers through whose pages a researcher might leaf to find by serendipity an interesting paper that they had not been looking for. But another trend may be the death of the scientific paper – the publication at a single, well-defined moment of time of the results of scholarly inquiry. Instead, the reporting of results may come to be work in progress – reflecting the never-ending nature of scholarly enquiry itself. That’s going to make life difficult for historians of ideas and of science. In his original paper on relativity Einstein made a mistake that was controversially used by the professor of the history of science at University College London, Herbert Dingle, in his polemic against relativity theory. But had electronic publishing been possible at the time, the humanly fascinating point that even Einstein did not initially have all the implications of his theory worked out would have been lost if the record were not ‘frozen’ in time. If the scientific journal and the scientific paper look as though they are to be consigned to the dustbin of history, what of the book? There has been a steady decline in the sales of monographs over the past 30 years or so, to the point where funding bodies such as the Higher Education Funding Council for England (HEFCE), the European Union (EU), the Wellcome Trust and the Organisation for Economic Co-operation and Development (OECD) are testing open-access (OA) publishing of monographs as a solution. The EU has made a firm commitment to OA publishing in science subjects and last summer it began to trial OA publishing for both original research and its supporting data. The Wellcome Trust has recently published details of the article processing charges that it paid for in 2012-2013. Interestingly, the largest single item was £13,200 for an open-access book, entitled: Fungal Disease in Britain and the United States 1850-2000. This is the first to be funded by the Trust and the first open-access book to be published by Palgrave Macmillan – both indicative of shifts in scholarly communication. There are many reasons, other than lack of sales, for the decline in monographs – some of them sociological. The pace of research in many scientific disciplines is such that the research monograph is now too leisurely a publication process to be useful. This is less true in some of the humanities but, certainly in the UK, the baleful influence of research assessment exercises has led to salami slicing of research. Where once an academic might have produced a considered monograph over a period of five or even 10 years, the research assessment process demands instant gratification and therefore what would once have been collected into a monograph is sliced up into a succession of research papers. However, digital availability has created the possibility of a different, intermediate, type of product– content that is longer than a traditional paper but not as long as a traditional monograph – something that Palgrave MacMillan referred to as ‘research at its natural length’ when it launched its Palgrave Pivots about a year ago. There are two other types of books where digital technology can add value. The first is e-textbooks, where the focus of effort has been on moving from print-like e-books to things that people can interact with and, for example, test themselves on their progress with learning. The second category is reference works, some of which have moved a long way from the print concept. These can be more derivative products, created for specific audiences by bringing together many different pieces of information and repackaging them. A couple of examples of this, where content for academic researchers is brought to industrial researchers, are Geofacets from Elsevier and Springer R&D. The logical development, in the digital world, is that reference works become databases rather than books. E-books still appear to be very much a work in progress. In the meantime, a considerable amount of effort in e-books has been made on digitising (and monetising) publishers’ back catalogues (for example 'Archive makes out-of-print books available'). For more insight into e-books, see our recent issue on this topic. This trend is likely to continue as interest in MOOCs – massive open online courses – increases. Last year a major MOOC provider Coursera announced an agreement with six scholarly publishers to pilot use of published content within MOOCs and this is an issue we will be looking at in our upcoming June/July 2014 issue. Earlier I painted a picture of a researcher leafing through a print-on-paper journal and coming across a paper by serendipity. Of course, that is not how it has been for a long time – indeed perhaps the more usual method for a long time was to send your research student over to the library to photocopy a specific paper. But such leafing through paper journals is even less a feasible method of acquiring knowledge in the digital age. So information discovery is both forced upon us by the new technology but also facilitated by it. At the moment this is quite a complicated picture with many routes to content. First, it’s hard to get away from the mention of Google in any discussion about search and discovery. Google is mentioned both as a disruptor to traditional scholarly search processes and as a gold standard for information providers to aspire to. In any interviews published in Research Information about a new platform or interface, it’s almost inevitable that the interviewee will describe the search process as ‘Google-like’. In the April/May 2014 issue of Research Information, which was distributed at the London Book Fair, Matthew Cockerill, one of the founders of BioMed Central, makes the point that open access improves discoverability. In his view, open-access articles are easier to link to and so tend to be highly ranked on Google search results. But in the early days, discoverability of BMC content was helped by inclusion in PubMed. Without such links discoverability is an issue for all new launches. There are, of course, many traditional databases too. Providers of these tools argue that they provide quality and other benefits that are not guaranteed with tools available on the free web. Our October/November 2013 issue has interviews with many providers of such tools. On the other hand, Matthew Cockerill remarks that indexing and archiving services have to decide what to include and some form of selectivity is essential. Measures such as impact factors play a huge role in the success or failure of new journals but, conversely, the current situation means that new journals can be stymied as they wait for their first impact factors. Wikipedia is also an important route to content, even if students and others are hesitant to admit to Wikipedia’s role in their research. If publishers aren’t already doing so, they should pay attention to the accuracy and comprehensiveness of the Wikipedia entries relating to their key authors and subject areas. What is the role in this new world of the library catalogue? I suspect it is already in decline to a future only as a list of the library holdings, rather than a portal to knowledge. Their future is probably one of merger with other tools over time. We are already seeing moves towards web-scale tools and talk of shared services across libraries. Perhaps this is an area where discovery tools – the likes of EBSCO Discovery Service, Summon and Primo – might also play a greater role. Finally, one thought on the rise of social media – this may be the modern-day route to serendipity to replace leafing through the journal. Generally browsing Twitter or following a hashtag can bring up many unexpected and (at least sometimes) useful things. At the very beginning, I said that the cornerstone of science was the open publication of results. Cast your mind back a decade or so to when Research Information started publication and one of the salient issues was what was perceived as predatory pricing by some of the largest scholarly publishers. At about the same time, the switch to online delivery of scientific information meant that the old notions of copyright – which were based on the technical difficulty of copying -- no longer had the same force. Thus rebellion against the prices being charged to libraries for journal subscriptions married up with new technology to focus attention on open access (OA) as the way of openly publishing scientific and scholarly results. A decade on, there seems to be general agreement these days that there are costs involved in publishing, which is an improvement on the early days of the debate, but plenty of disagreement remains on how big these costs are and who should pay them. At present, we have a debate between the green versus the gold routes to providing access. This is basically whether the publication system carries on as it has done with a subscription model and authors also deposit some sort of version of their work in subject-based or institutional repositories; or whether somebody on the author side (which could be the research funder, the university or the author themselves) pays for publication. A compelling reason for talking about access is for research access. There are particular issues for early-career researchers, researchers who are not affiliated to a research institution, and people who are in a research institution or country that doesn’t have much money. In November a new initiative, the Open Access Button was launched. This is a website where people log every time they get stumped by a pay wall. It’s not clear how statistically reliable the figures are, but it is interesting that the lion’s share of paywall hitting to date seems to come from the developed not the developing world. Of course, there are initiatives to enable access for people in the developing world (for example, Research4Life and INASP). Such initiatives are partly about providing access and partly about training people in how to use materials. It is worth stressing that many of the materials made available through these kinds of programmes are from the corporate publishers. A similar situation happens with temporary access for medical workers in areas of the world hit by disasters. My own scientific background is in particle physics and, in a way, the particle physicists can be blamed for starting the whole ball rolling. First off, even when I was a research student, we were too impatient to wait for the publishers to go through the journal publication process, so each research department or institute had its ‘pre-print’ network where results were circulated by typewritten drafts long before formal publication. Then we got so impatient that Tim Berners-Lee invented the World Wide Web simply to speed up access to the preprints. Now there is the Sponsoring Consortium for Open Access Publishing in Particle Physics (SCOAP3). This launched in January as a partnership of thousands of libraries and key funding agencies and research centres in two dozen countries. Working with leading publishers, SCOAP3 is converting key journals in the field of High-Energy Physics to OA at no cost to authors. SCOAP3 is paying publishers centrally for the costs involved in providing Open Access, publishers in turn reduce subscription fees to their customers, who contribute to SCOAP3. Copyright stays with the authors, while permissive CC-BY licences allow text- and data-mining applications. It has built up good support, but we have been told off the record that it has been and is technically very complex. In the United States, the Government’s Office of Science and Technology Policy (OSTP) set a goal in February 2013, of making the results of federally funded science, including peer-reviewed publications and digital data, freely accessible to the public to the greatest extent possible. There have been two reactions to the OA mandate. Publishers have got together and proposed one approach, known as CHORUS – the Clearinghouse for the Open Research of the United States (CHORUS). This is a not-for-profit public-private partnership to increase public access to peer-reviewed publications that report on federally funded research. CHORUS provides a full solution for agencies to comply with the OSTP memo and builds on publishers’ existing infrastructure. The organisation emphasises as well as the access side of things, how this avoids duplication of effort and minimises cost to the Government. But of course, the content remains on the publishers’ infrastructure! Meanwhile, under the aegis of the Association of Research Libraries, US universities have put together a different approach, called SHARE -- the rather tortured acronym for SHared Access Research Ecosystem. Bizarrely, given what I have said about Google as the route to information discovery and that SHARE is supposed to be about widening access to research, it does not have its own website and it is incredibly hard to find using Google. It is currently sheltering under the Association of Research Libraries’ website but is not particularly well signposted there. However in March, SHARE was awarded a grant of $1million to develop a ‘notification service’ and has advertised for a project leader, so its visibility may rise. This is more an institutional repository approach. As for the UK, I have already mentioned the Wellcome Trust’s recent publication of the money that it is spending on Article Processing Charges. Although the largest single sum was on an OA book, there is a lot of variation from £45.94 for a paper published by the American Society for Nutrition to £6,000 for one in Public Service Review. Despite the disparity in price both papers concerned public health in developing countries – one part of the Trust’s scientific mission. I started this section by mentioning the excluded – those who do not have the backing of a large research institution – for whom OA is supposed to improve the access to scientific results. However, high Article Processing Charges may institute a different form of discrimination by excluding researchers in poorer countries not from reading the journals but from contributing to them, although in some cases waivers are available. The access discussion gets more complicated still when we get into talk of licensing and reuse. This is particularly interesting for people who want to be able to reuse content in various ways, including text and data mining. SCOAP3 has addressed this, as I have mentioned, but it will clearly become an issue of growing importance. Once upon a time it was easy. Large research libraries negotiated direct with publishers while the smaller ones used the services of subscription agents. But subscription agents have been one of the biggest losers in the new digital age. There has been consolidation in the sector and the big two – Swets and Ebsco – are now offering additional services that look very much like library management tools, and so on, in order to add value and retain their position. Ebsco for example, describes itself as ‘the leading subscription services, database, e-book and discovery provider’ and in January this year it purchased Plum Analytics – which specialises in alternative research metrics. 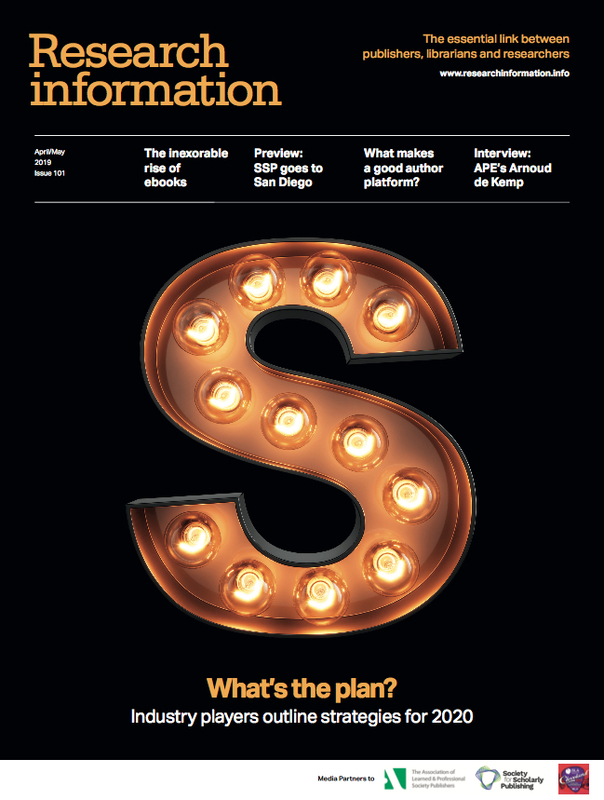 The decline of the traditional subscription agent has been mirrored by a rise in the aspirations at least of the aggregators, as reported in the April/May 14 issue of Research Information. Aggregators offer a broad selection of titles, from thousands of publishers, with a common acquisition and management workflow. They also offer libraries a range of choices on how to acquire and how to pay for acquisitions – rental, subscription, upfront purchase, or demand-driven acquisition (DDA). Rentals (short-term loans) are an interesting new way in which some libraries are acquiring e-books. Short-term loans can be a good way to build efficiency into an acquisition programme and allow end-users more immediate access to a greater choice of content. Evidence suggests that this leads to a virtuous circle: libraries that use short-term loans as part of their e-book acquisition programme grow their e-book budgets, year on year, at a faster rate and tend to have larger e-book budgets overall. Through short-term loans they can give their readers a wider selection of content, which improves the chances that readers will find what they are looking for, which increases the demand. Nonetheless, perpetual purchase continues to be the dominant model preferred by libraries. Patron-driven acquisition (PDA) and demand-driven acquisition (DDA) are implemented in different ways in different libraries. It seems clear that there will be a role for DDA in building e-book collections, but it may not look like what is available today. Interestingly, there is an analogous approach in situations where payment of publication costs goes on at the author side too. One way to simplify the process of paying for gold OA is to buy into membership schemes. These have a range of different models but basically involve some sort of bulk payment that enables a certain number of papers to be published by that institution or person. There are several other OA business models too, which further complicates the landscape. When it comes to justifying the charges levied by the big publishers, peer review is often cited as one of the pieces of ‘added value’ that they provide. With the proliferation of journals and the growth of research worldwide, peer review has become a very large undertaking. A study by Mark Ware for the Publishing Research Consortium in 2008 found that review at that time took on average 80 days per paper. Unsurprisingly, therefore, efforts are underway to streamline the process. In the summer of last year, BioMed Central extended its ‘portable peer-review’ scheme across its entire portfolio of journals. And in the February/March 2014 issue of Research information Wiley described how it was piloting a very similar-sounding ‘transferable peer review’ system to preserve, and transfer the initial peer review, enabling the review to travel with the article on its route to publication. However, reaction has been mixed. Some, rather than seeing this as an efficiency measure, suspect it is more a way to keep the paper -- and therefore in the case of gold OA, the payment for the paper -- within the publisher. Researchers might prefer to go away and do some more work on their paper and submit it to a different high-impact factor journal elsewhere. In a similar vein, Peerage of Science’s Proceedings of Peerage of Science (ProcPoS) is a journal focusing exclusively on publishing commentary articles with the idea that good reviewers should gain recognition publicly. This public recognition is seen by Peerage of Science as a way of offering an incentive for those who carry out peer review. The Swiss open-access publisher Frontiers has even developed an algorithm to filter out relevant reviewers. This sends review invitations to 10 people, and then to 10 more if none of the first 10 is interested. The algorithm is intended to accelerate the whole review and publishing process, but has attracted some criticism too. As I said earlier, now that so much research information is available digitally, the concept of the journal or journal issue has changed. If the very concept of a ‘journal’ is now in question, where does that leave the more refined concept of a ‘high impact-factor’ journal? Unrelated, more sociological reasons, are leading to journal impact factors becoming less favoured. The concept of basing impact on citations of papers by other papers has been stretched beyond its original concept, for example in assessing universities. There is also the risk of ‘gaming’ impact factors through self-citation. One consequence is that research is more often now being considered at the paper level. For this reason there is considerable interest in article-level metrics. Another trend that is driving efforts to shake up metrics is the increase in conversations about research that go on electronically but not in formal research communication channels. This includes discussions on blogs, in tweets, and in news stories. Altmetrics is a growing trend to look at all the ways that research is discussed and assign metrics at an article level. I have already mentioned that Plum Analytics has been bought by EBSCO, which is one indicator of mainstream interest in altmetrics. In February, Springer added altmetrics information to every article available on its online platform SpringerLink, using data provided by another altmetrics company Altmetric, which is a portfolio company of Digital Science. In the same month, HighWire Press struck a deal with Altmetric to offer altmetrics integration to publications hosted on the HighWire Open Platform. In April, the Kudos platform re-launched to allow researchers to use the site – free of charge -- for explaining and sharing any article, thus broadening its impact on the altmetric scale. Usage data will only be available for articles added by participating publishers. According to Kudos, articles shared by authors using the pilot-phase Kudos tool saw an average of 19 per cent higher daily downloads than those that didn't. However, in the April/May 14 issue of Research Information, Mark Carden was caustic in his report from the Academic Publishing in Europe (APE) meeting in Berlin at the end of January. ‘Altmetrics are interesting, but possibly meaningless,’ he wrote, citing research from the University of Montreal which, he acidly observed: ‘Pre-chilled the hype with some shrewd and data-based observations about the very low correlation between tweets and citations, and the need to distinguish between buzz and impact.’ And he threw in a reminder of Richard Ernst's wish to ‘send all bibliometrics to the darkest omnivoric black hole in the universe, to liberate academia forever from this pestilence’. At the very beginning, I talked about how one of the central aspects of science is the open publication of the results of scholarly enquiry. Over the past decade or so, there has been a major sociological shift as demands grow for the retention and publication not just of the results but of the data itself. The publisher of the longest lasting results journal, the UK’s Royal Society, itself published a report in June 2012 arguing the case for open data. Sadly, some motivations are clearly non-scientific. Climate-change sceptics have demanded the publication of data so that they can do their own analyses and, they hope, derive different conclusions from those of the scientific community. Other motives are commercial but with a dash of science. Pharmaceutical companies, for instance, are increasingly trying to capture and retain the results of the experiments their staff carry out, on the grounds that the data may be useful for research on other drugs or other drug targets than the original. A purist’s view might be that the formulation of a hypothesis, thinking of a way to test that experimentally, and then designing the experimental protocol, gathering the funds, and then carrying out the experiment itself, is precisely what makes a scientist a scientist and so the experimental data ought to be the ‘intellectual property’ of the original researcher. A related view is that if there is a systematic error in the original data-gathering, no amount of re-analysis is going to detect it – the experiment must be replicated elsewhere by other researchers, using other equipment, and under other conditions. But the increase in the volumes of data and the cost of acquiring some of it probably ensures that the trend towards open data will increase and with it will come the issues of hosting and curating data sets. The amount of research data being generated is currently increasing by 30 per cent annually, but it is not being effectively managed, stored, or made easily accessible. One study has found that the odds of sourcing datasets decline by 17 per cent each year and that 80 per cent of scientific data is lost within two decades. Another study found that 54 per cent of the resources used to perform experiments across 238 published studies could not be identified, making verification impossible. Some 34 developed countries have now signed up to the Declaration on Access to Research Data from Public Funding. In addition, key funding bodies such as the NIH, MRC and Wellcome Trust request that data-management plans be part of applications for funding. The UK’s Engineering and Physical Sciences Research Council required institutions that receive its funding to have developed a roadmap by 2011 for helping researchers implement responsible and sustainable reuse of their data and expects compliance with these roadmaps by 2015. The Digital Curation Centre has created the first online data-management planning tool, which is used by the researcher at the point of applying for funding and then throughout the research project. Figshare enables researchers to share their data in the cloud but retain control over who has access to it. Software such as CKAN, an open-source data portal platform, can be used to make data accessible as well as streamlined to the processes of publishing, sharing and finding data. To help researchers when it comes to citing data and being credited, DataCite is a useful standard as it ensures that datasets have a digital object identifier, which increases the ability to track data and reuse it. Who should have the lead role here: publishers; librarians/information professionals; or the researchers themselves? This is very much a work in progress and it is not clear how things will turn out. From the mid-1970s well into the 2000s, computers used floppy disks as a ubiquitous form of data storage and exchange. Does anyone remember the 8-inch disks? And although many people will recall the 5¼-inch and 3½-inch sizes, anything written on them is no longer easily readable -- by 2010, computer motherboards were rarely manufactured with floppy drive support. As electronic publishing grows, preservation is a critical issue and it is pleasing to see that preservation initiatives are experiencing strong growth too. The global archive, CLOCKSS, for example, has added more than 50 publishers and doubled the number of libraries to its roll call while late last year Portico celebrated preserving 25 million journal articles. And the rise is content agnostic: Portico is also seeing a growth from e-books. There are many challenges, including changes in publication formats, inclusion of data, and maintaining links to other content. Preserving dynamic content is still an issue. It is difficult for dark archives such as CLOCKSS to preserve as, put simply, dynamic content changes from moment to moment. When it was founded more than 350 years ago, the UK’s Royal Society discussed science, carried out experiments, set up a library, and published the results of research. The enterprise of science depends on all these actors but their interests appear to have diverged in recent years. Some researchers have come to see publishers as their enemies rather than their friends, while others think librarians are on the brink of extinction. However, we have been encouraged to see a growing interest in Research Information from readers in the research community over recent years and I think this reflects their growing interest in publishing. Communication was a big theme at both the ALPSP and STM Frankfurt conferences last year. Both meetings tend to be dominated by publisher interests but there was a strong sense that improving relationships – between publishers, authors, readers and librarians – is important. Industry veteran Bob Campbell, now retired from Wiley-Blackwell, also told the STM Frankfurt conference how one of the big challenges over the next five years will be working on the relationship between publishers and funders. This has been a whistle-stop tour. All the trends I mentioned could easily be several presentations in themselves. For more in-depth insight, I recommend that you subscribe to Research Information in print or our digital version, subscribe to our email newsletter, and follow us on Twitter.